Do you have bed bugs? Believe it or not, it’s more common than you think. In the past, bed bugs were associated with overcrowded environments, dorms, and rundown housing units. That’s no longer the case. These days, bed bugs can surface anywhere—large buildings, upscale apartments, and even luxury hotels. 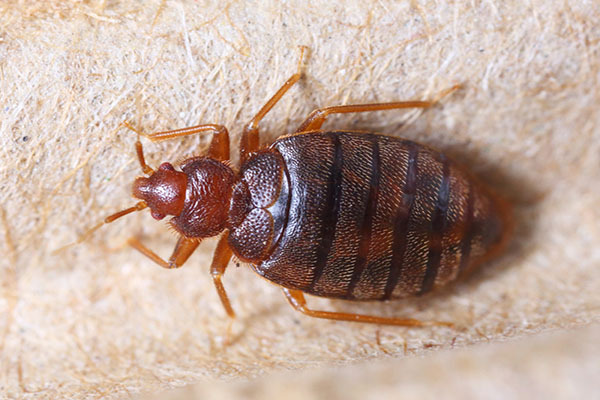 In fact, Edmonton was named the sixth worst city in Canada for bed bugs. What used to be uncommon is now a problem affecting households across the country. RTM Cleaning Solutions is an Edmonton-based company that specializes in the prevention, control, and preparation of bed bug infestations. We are proud to serve the Greater Edmonton Area, and the cities of Sherwood Park, St. Alberta, Leduc, Stony Plain and Spruce Grove. RTM Cleaning Solutions has been helping Albertans prepare their home for the removal of bed bugs since 2012. Our team of highly skilled professionals is trained to identify the highest points of infestation and, once determined, act to contain the problem immediately. Then we prepare your home for the services of an exterminator. Bed bugs are parasitic insects that feed exclusively on blood, with a preference for blood from humans. A number of health effects may occur including, skin rashes, psychological effects and allergic symptoms. Adult bed bugs are often light brown to reddish brown in color. They are presented in a flattened, oval shape and have no wings. Adults may grow to 4–5mm in length and 1.5–3mm in width. Newly hatched nymphs are translucent, lighter in color and become darker as they molt and mature. Bed bugs may be mistaken for other insects such as booklice, small cockroaches or carpet beetles. What is Bed Bug Preparation? Before an exterminator or removal service can eradicate an infestation of bed bugs, your home has to be properly prepared. This involves a lot of hard work. Furniture needs to be moved, clothing bagged, and strict cleaning procedures must be followed before an exterminator can fumigate the infested area. The preparation process can take hours—sometimes even days. If the process is not done properly, the chances of the bed bugs being completely eradicated are greatly reduced. And, while most exterminators give you instructions on how to do it yourself, they can often be confusing. There are also serious health risks to consider when preparing your home yourself. These issues may include skin rashes on your face, back, arms, neck, and hands. This doesn’t take into account the frustration and psychological stress you feel knowing bed bugs have invaded your personal space. It doesn’t matter if you’re seeking bug treatment for clothes, bug treatment powder solutions, bug treatment for dogs, or bed bug treatment with heat, you need to prepare your home or facility first! Why go it alone? Let our team of highly-trained professionals help you take back control of your home and put a stop to bed bugs once and for all. Leave the second guessing behind; our tried-and-tested process ensures an exterminator can eradicate the bed bugs quickly and effectively. With RTM Cleaning Solutions safety comes first. That’s why our process is rigorous, strict, and in accordance with Alberta Occupational Health and Safety standards. It’s also why our entire team is outfitted with PPE (Personal Protective Equipment) at all times. This includes protective gloves, Tyvek suits, boot covers, booties, hairnets and safety glasses. This prevents contact with the infectious agent or items that may contain the infectious agent, by creating a barrier between the worker and the infectious material. Thanks to intensive training and education, our team has helped thousands of Albertans prepare their homes for the extermination of bed bugs! Proper Bed Bug Treatment Room Preparation requires a high level of knowledge and expertise. RTM Cleaning Solutions works in conjunction with the exterminator to make sure the necessary steps are completed so treatment can begin. To ensure your safety, we ask that your home is vacated for four hours from the time of application. For Full Treatment, our team will come into the suite prior to the preparation service. We’ll then remove all baseboards, faceplates, move all furniture 24 inches away from walls and vacuum the suite. We bag all laundry items, take concealed bags to the on-site laundry facility and run the appropriate laundry cycle that is necessary for treatment to be effective. A high heat cycle ensures the bed bugs will not survive. Once this is done, we take the concealed bags back to the appropriate suite. These bags are not to be opened for another 24 hours. We also make sure to bag any other items that should not be sprayed during treatment. Once the suite has been sprayed, you can safely return to your suite (4-6 hours after treatment, unless otherwise instructed). At RTM, we provide nothing short of the most comprehensive bed bug control services. Before treatment, we provide you with a bug treatment prep sheet that covers everything you need to know. Once the exterminator has treated your home, our team will return to vacuum, move furniture to their original positions, unpack all necessary personal belongings, replace switch plate covers and make the beds. We do our best to return your home to as normal as possible. Bed bugs are more common than you think. In the past when people thought of bed bugs they thought of poor housing and rundown neighbourhoods. That’s all changed. Today, bed bugs affect thousands of Canadians every day, from all walks of life. People often blame themselves. The truth is, sometimes bed bugs find their way into our homes regardless of what we do. By taking the first steps to properly prepare your home for extermination, you’re taking back control of the situation. Most people find the entire process evasive and are too ashamed to have someone enter their living space to perform extermination. We understand how stressful the situation can feel and are sympathetic to your struggle. Our goal is to help eradicate the bed bugs from your home, so you can move on with your life. This is a judgment-free zone! Whether it’s a group home, assisted living, business or personal residence, if you need proper bed bug treatment room preparation, give us a call at 1 (780) 953-6683. Save yourself the time and hassle and let RTM Cleaning Solutions do all the work for you. Our team is thorough, efficient and will address the problem in a discreet and professional manner. Our cost and process are both exquisite. So… What are you waiting for? The quicker you call, the faster your life is bed bug-free.